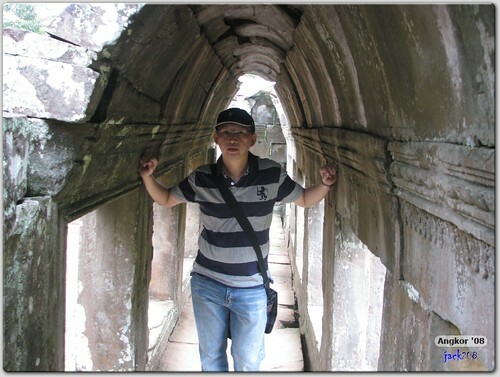 After Preah Palilay, our journey took us to the Royal Palace area. Unfortunately due me missing out the fact that the Royal Palace would have been constructed mainly of wood + gold (and not stone) most of its structures would have decayed or in the case of gold, be stolen by now. 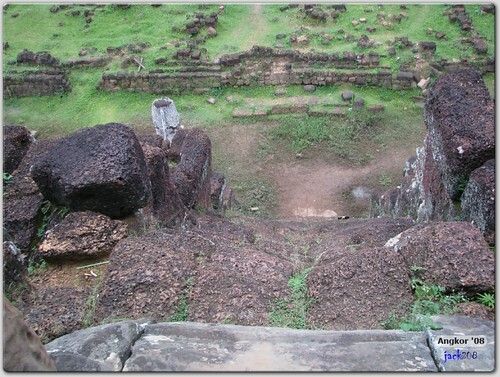 But within the enclosures of the Royal Palace, there are two sites which are still very much intact; Phimeanakas and Baphuon. This site can be visited either by exiting the Terrace of Elephants via its western exit or coming here from Preah Palilay (which was what we did). 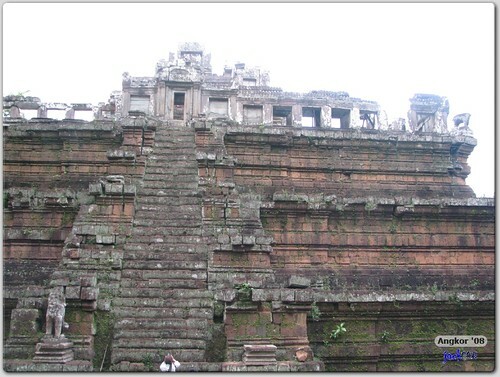 This site was built in the late 10th century, before the Bayon and is of Hindu origin. 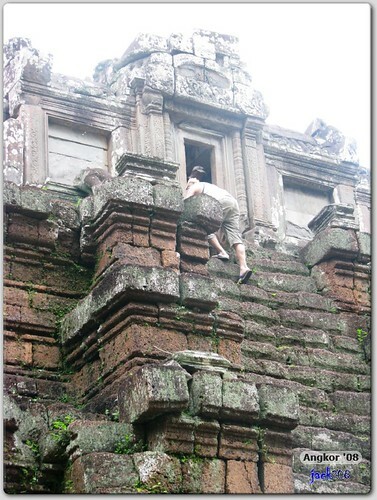 It’s the tallest temple with steps that you can climb within Angkor Thom. This temple was where the King (and not God / Buddha) was worshipped. 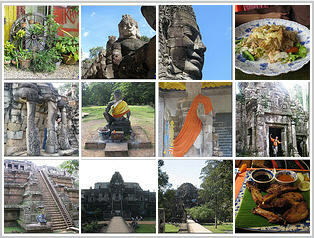 It’s located in idyllic surroundings (much like Preah Palilay). The highlight of this site would be the central sanctuary / temple where it was rumored has a top of gold. 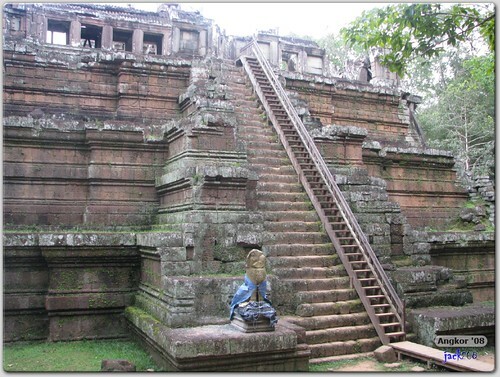 For that reason, the Apsara Authority (or whoever maintains this temple) decided to built a modern staircase with supporting rails on the western side of the temple to help us poor tourists get up to the top of the temple. 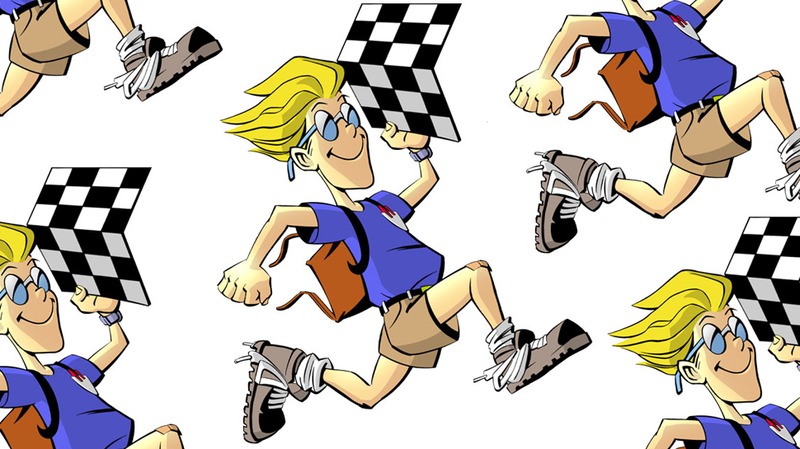 But if you are gung-ho, agile and feel lucky, you can do what this dude did! And he was wearing slippers! Bravo!! Given this temple is also set in similar idyllic surroundings with lush forest around, and after the immensely entertaining Palilay Dance, we were half-expecting to see the Phimeanakas Dance. Unfortunately, young ladies + silk scarf = distraction of the highest order. Our chief dancer was too busy consorting negotiating with these lovely young ladies who were trying to sell him some silk scarves. Now why did he want so many scarves for? In the absence of the Phimeanakas Dance, we present to you some video clips of the Scarf Bargaining act. 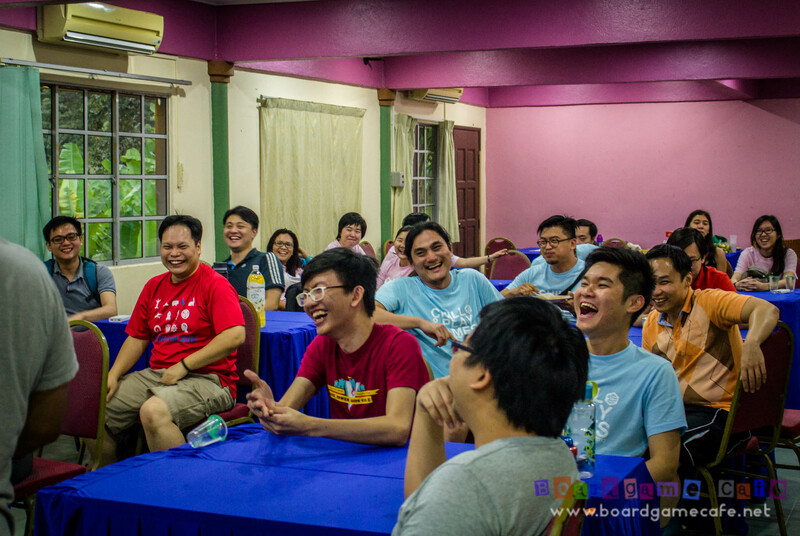 Note: For some reasons, can’t seem to embed Flickr’s video directly into Blogger posts so have to use external links to send you to the videos. We spent close to an hour here (no doubt a large part of that was spent doing scraf bargaining hehe) and it was already close to 6pm when we leave for our next (and last for the day) destination, the Baphuon, the Tower of Bronze. 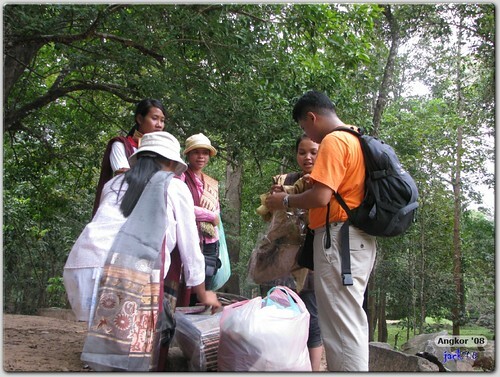 Next is the visit to the last site for the day – Baphuon – which would then complete Day One of our Angkor ’08 trip.